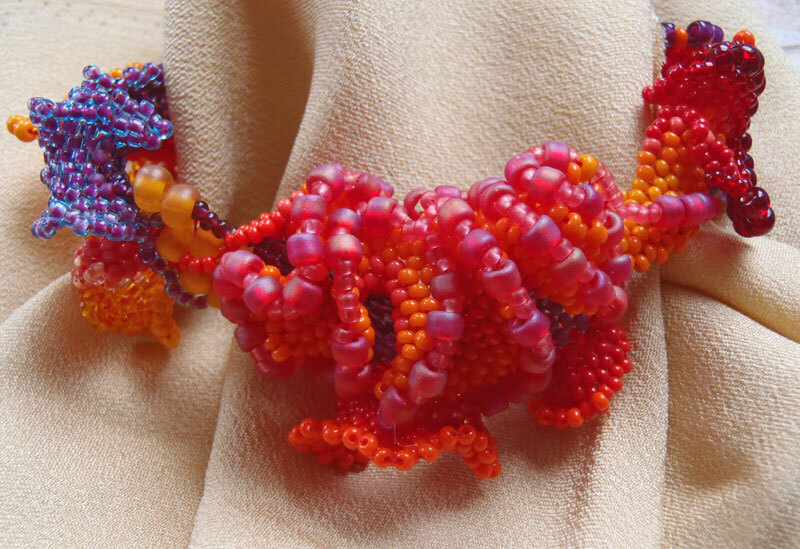 If you're in the neighborhood, drop by the Northwest Bead Society's annual Bead Bazaar at the Lynnwood Convention Center running today and tomorrow. For the price of a $5 ticket for the weekend, you have access to a whole room full of the best sorts of vendors and enough free demonstrations to fill anyone's brain capacity. Flush, ball and the one hit wonder. 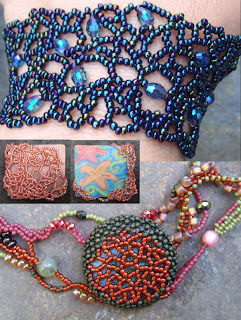 Riveting is fun, easy and a great way to incorporate hand-made elements into your bead work. 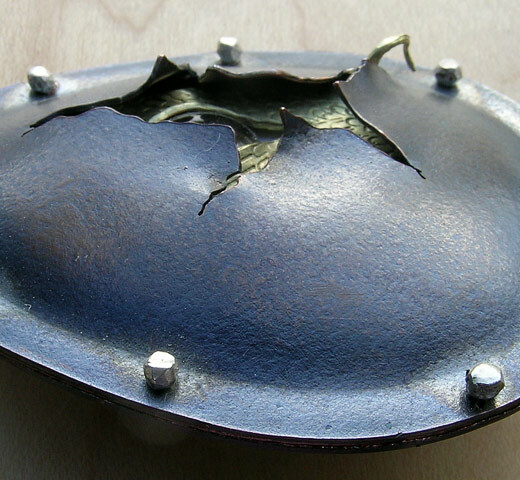 Dana Cassara, owner of Danaca Design Studio, will show you three simple ways to rivet sheet metal and will suggest a variety of options for incorporating found objects into rivet projects. Pretty much, if you can put a hole in it you can rivet it! Transform flat peyote stitch into curved, lush dangles that evoke Egyptian papyrus fronds, martini glasses, and even fireworks! 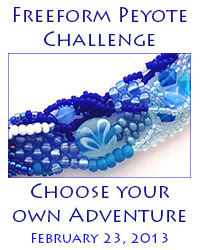 Kits for lush lariats with beautiful dangly beads are available. Marilyn has a fiber art background and uses her textile techniques to produce interesting and unusual jewelry. See some of the tricks that she has come up with to make some truly unique items. Small enough to hold in the palm of your hand, beads have been a form of adornment for 40,000 years. For close to 4,000 of those years, they have been made in glass! From conception to craftsmanship, this ancient art form is mesmerizing, but how do you know what to look for when purchasing these small wonders? Understand the creative process and gain the insight needed to shop with confidence in distinguishing artist-made glass beads from others. Random right angle weave creates an open lacework or netting with the organic feel of the natural world rather than man-made symmetry or precision. No two pieces are ever the same, nor are they supposed to be. 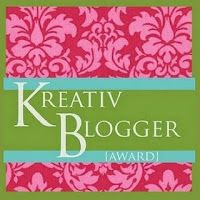 Learn to work with this exciting, man-made product that simulates the look and feel of ivory. Melissa Cable is the author of "Spotlight on Wire" and teaches at shop and shows nationally. You can also find her locally at Fusion Beads. 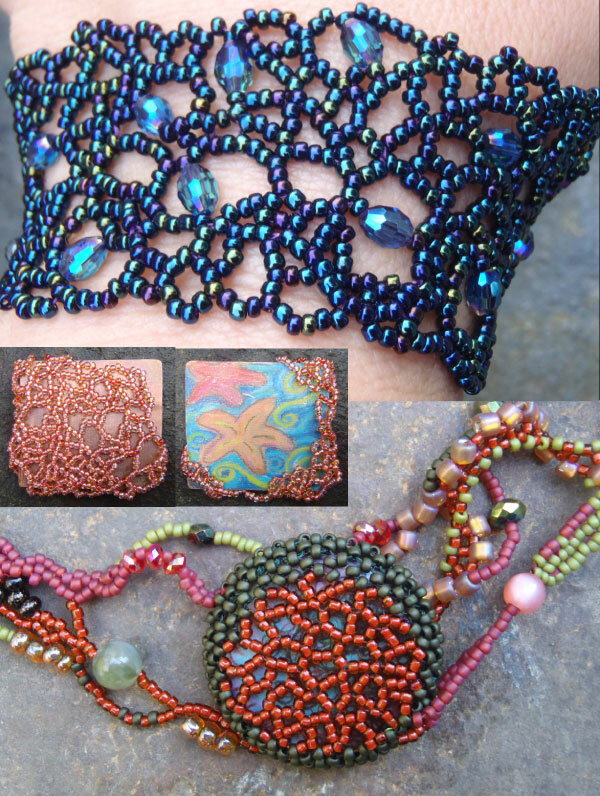 will show stitches and discuss beadwork on wearables and and non-wearables. Making needle felt beads and wearable art. - Needle felting is an immediate, simple way to transform plain wool roving into any form you can imagine. Cynthia has been making felt jewelry for more than 7 years and is a featured artist in Lark Books new publication 500 Felt Objects." Learn the basics of working with this innovative material that is as flexible as wire, as functional as metal and has the ability to showcase color like beads. 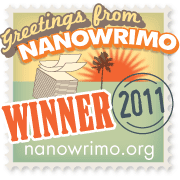 A book signing will follow demo and copies will be available for purchase. Lynn Hull an accomplished metalsmith, and the metalsmithing and jewelry instructor at North Seattle Community Collage, will demonstrate how to make beads using the hydraulic press. And if that's not enough, the Seedbeaders will be hosting informal demos and tips & techniques throughout the weekend. 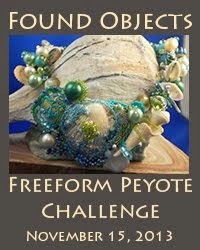 But I won't be there tomorrow, because I'll be teaching my Freeform Peyote Ruffles at Fusion Beads. 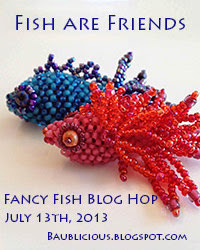 Not the best planning on my part - but it definitely insures my weekend will be bead-filled! Hello from Florence, OR. Wish I was just a little closer so I could attend.